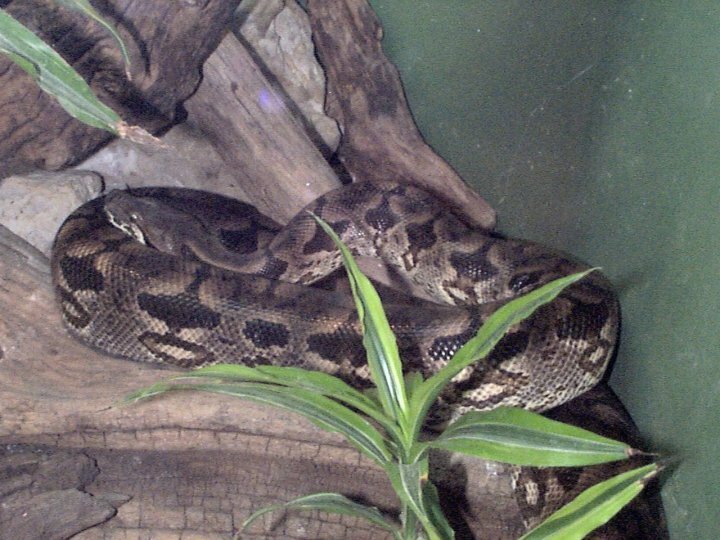 Dumeril's boa has a gray-brown ground color with darker patches. The patchy pattern offers camouflage against the leaf-strewn forest floor. It usually grows to lengths up to about 220cm, but larger individuals have been reported. It has the vertical pupils of a nocturnal animal. Lifespan: up to 30 years in captivity. Scent gland release a mixture of organic acids that may serve as pheromones. African boas are related to South American boas. Another large African boid is the Madagascar ground boa. Males usually have longer flatter tails, while females have bigger bodies (used in order to store eggs). Sexual maturity is reached between 3 and 5 years of age. Males have "spurs" (vestigial hind limbs) used for courtship. Their mating season is March through May. Males have two penises (these are called hemipenes). Boas are live bearers; a small litter of babies is born 6 to 8 months after mating. Simpson, et al. 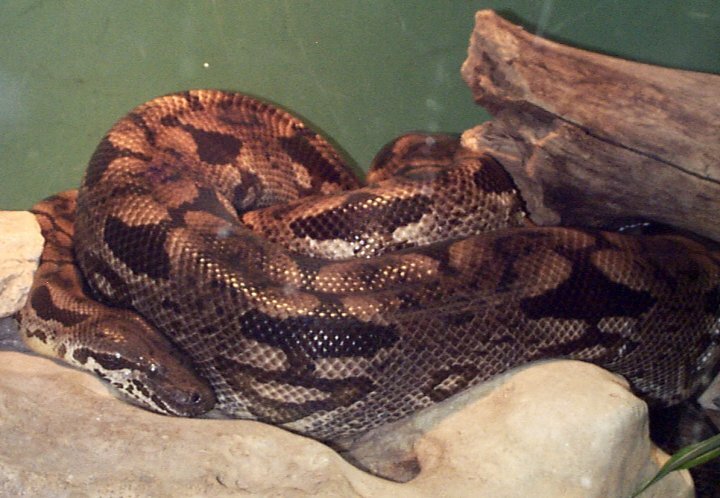 Identification of major lipids from the scent gland secretions of Dumeril's ground boa (Acrantophis dumerili Jan) by gas chromatography-mass spectrometry.